The "roaming creative residency" will be going to Green River, Utah for their fifth trip. Keep track of these nomadic creatives and their adventures. Cabin-Time is an opportunity to leave the world behind and discover another one. 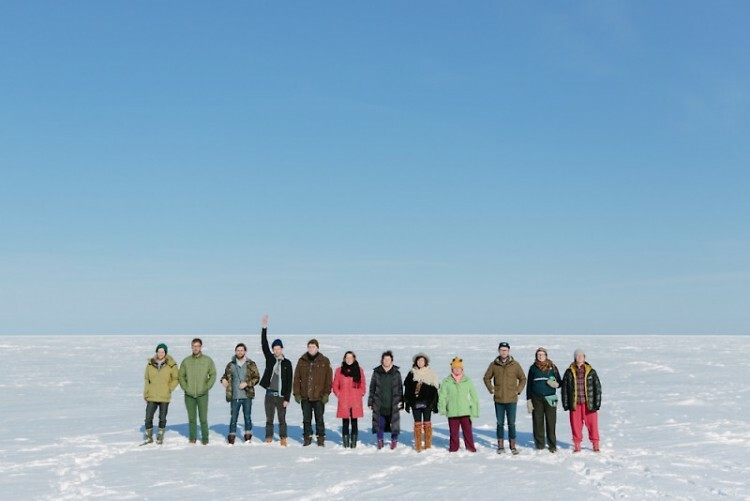 Twice a year since January 2012, Cabin-Time has brought artists, photographers, writers, designers, chefs and every other kind of creative from all around the country together in the wilderness. They have been to Wilderness State Park in Ontonagon, Michigan; Bogus Lake, Grand Marais, Minnesota and Rabbit Island, Lake Superior, Michigan. As they try to survive their natural surroundings, unconnected from the usual gadgets, residents collaborate in creative projects that will be published in the Field Guide or, in previous years, exhibited in a gallery. For Cabin-Time 5 they will go west and will set camp in the desert landscape of Green River, Utah. "We will be collaborating with Epicenter, a really inspiring non-profit design and architecture," says Geoffrey Holstad, the founder and director. 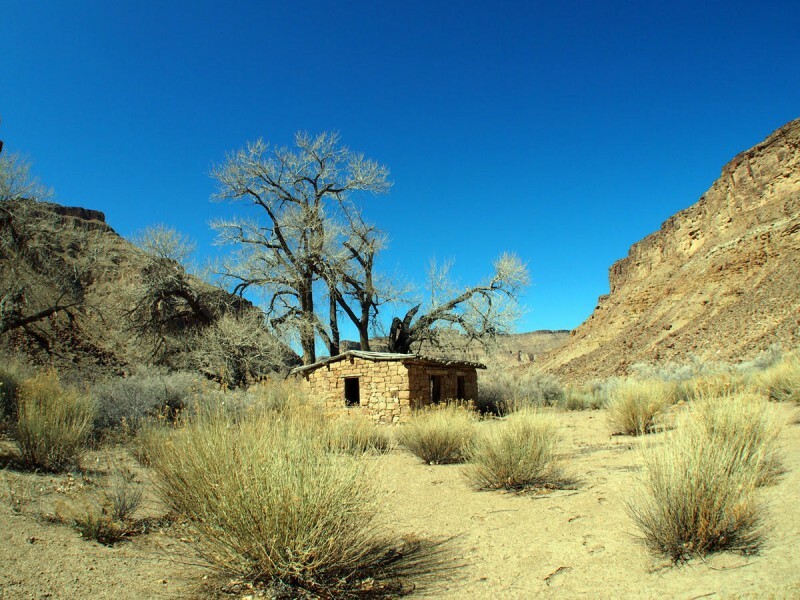 "We will be setting up camp in and around a 100+ year old stone shelter in Desolation Canyon, with an adjacent tent-camp on the banks of the Green River, 11 miles outside of town on BLM land. Outside of the nostalgic lure of the American West, this Cabin-Time is our first residency to break out further than the midwest, making the project more easily accessible to creatives in other parts of North America. The town of Green River, Utah and the surrounding canyon country (nearby Arches and Canyonlands National Parks) have a rich and important history, carved out as America moved west. It’s an inspiring landscape framed by extremes, especially evident come late August. It’s summertime in the high desert and we’re going camping." "Melon days, dust, sunburn, whitewater, snake-bite-less canyon rambles, pre-dawn river swims, post-dusk river swims, mid-day river swims, classiest candlelight camp stove cooking, good morning poetry, hot sage wind smell, round-the-clock work parties, collaboration and fun," shares Holstad. With every Cabin-Time comes a new theme. Applicants are required to give a proposal inspired by that theme. Cabin-Time 5's theme is "Ford the River." 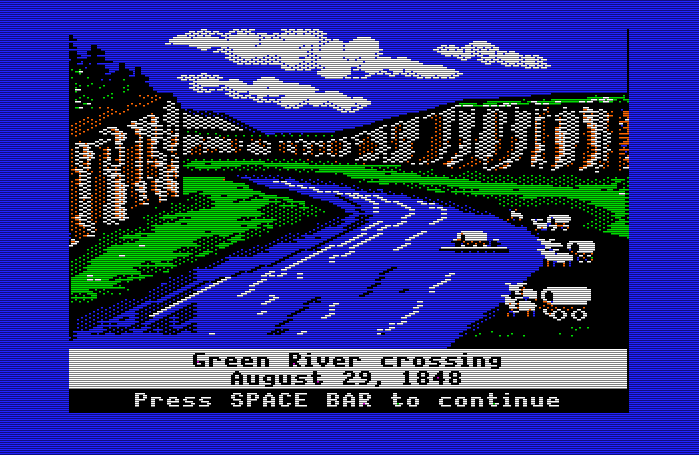 "'Ford the river' is a nod to the old Oregon Trail computer game," says Holstad. "The adolescent you named each person on the wagon train after your best friend, best enemy and best crush, and waited with bated breath for the looming broken axle, lost ox, bad water and game-over-dysentery. 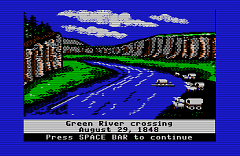 There is actually a Green River crossing part way through the original game." Unfortunately, there will be less exhibits displaying the work of the residents. Instead, focus will go to the website and the Field Guide as mediums to show the work created during the residency. "We will be rolling out a new website better archiving the work, as well as a heightened focus on the published Field Guide as a lasting archive," says Holstad. "We will be more loosely holding exhibitions of the work, showcasing the Cabin-Time project as a whole and less each specific residency. We are focusing our time and resources now into making the residency itself better, more inclusive and taking things further." The selection process has become tighter so competition has heightened. "We usually see close to 100 applications from all over the world for each residency, and will narrow the field down this time to seven new residents, a tough but exciting process," shares Holstad. "Cabin-Time strives to host a broad variety of different creators, curated from the lot for their work, uniqueness, excitement, thoughtfulness and stout work ethic." People are attracted to attend Cabin-Time because of the intimacy that develops among the residents and the adventure of exploring nature, he says. "Cabin Time is a grown up summer camp hodge-podge of cooperative intentional isolation, inspiration, work-making, friend-making [and] camp-making in close quarters with a creative complete stranger-family," shares Holstad. "It’s a chance for many to unplug, watching the bars on their phone’s reception quickly flatline and trading the hum of an air-conditioned studio for working in nylon-walled and big sky working quarters. The ever-changing environment breeds new ideas, opportunities for collaboration, and a spirit of research, learning, and fun." What are some fascintinating things that happen during Cabin-Time? "Midnight thunderstorm pond swims in the middle of the forest a stones-throw from the Canadian border. Candlelight dinners, always. Learning to harvest and make traditional birch bark baskets with the North House Folk School. Stick ‘n poke tattoos by oil lamp light in a handbuilt cabin off of a winding two-track deep in the Minnesota Northwoods. Carrot 'hot dogs.' All good days, always!" What do people leave with after Cabin-Time? "Best friends and bug bites."